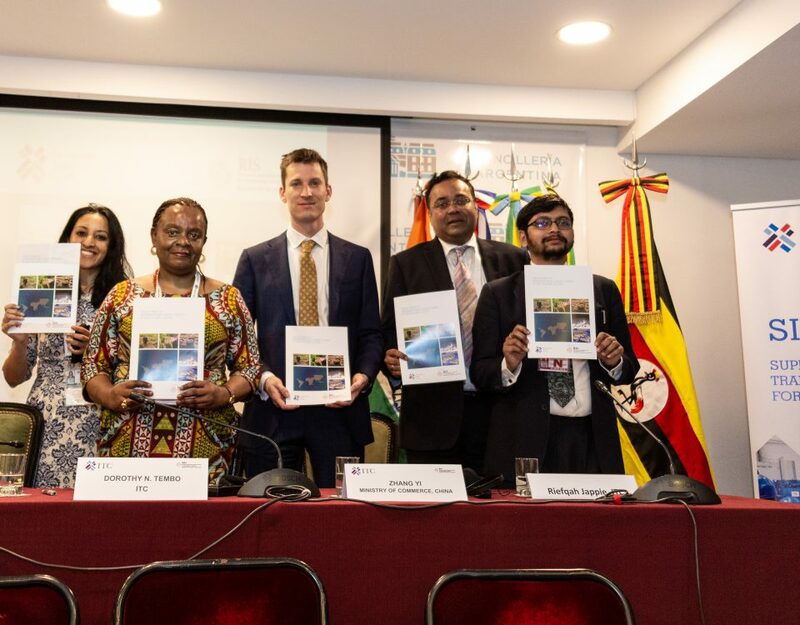 Tapping into the rising global demand for sustainable, eco-friendly products gives East African artisans a distinct advantage in international trade. 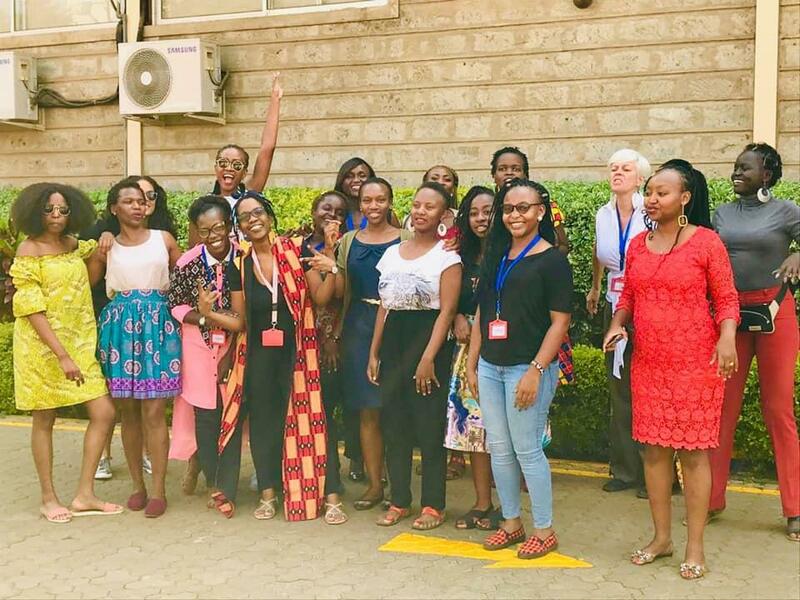 East African artisans are learning new, and more environmentally-friendly ways to produce colourful textiles and clothing without chemicals. Chemical dyes are not only harmful to health and the environment, but are also in limited supply in many East African countries. On the other hand, natural dyes are safe and readily available in commonly found in plants, insects and soils across the region. One just needs to know where to look. For example, African Juniper is found in Kenya, Ethiopia, Uganda and United Republic of Tanzania and the dye extracted from the plant can produce a pale red, purple-red, or yellow brown colour. To create pink and white, the flowers of Lantana Trifolia which grows across Africa can be used. For green colours, mint plant is a common source. The art of dyeing using natural sources is as old as civilization and has been perfected in India for centuries. To transfer these skills to East African artisans, the Supporting Indian Trade and Investment for Africa (SITA) project joined forces with Mr. K. Sivakesava Rao, the founder of Indian design studio, Creative Bee. Mr. Rao travelled to Bahir Dar, Ethiopia to deliver the training to 22 East African artisans from Ethiopia, Kenya, Rwanda and Uganda. The training was held at the Ethiopian Institute of Textile and Fashion Technology (EiTEX), Bahir Dar University from 11-19 December 2017. Natural dyeing is not a quick or easy skill to master so participants worked tirelessly over 10 days to study the A B Cs. Some of the artisans had no previous experience with textile dyeing however were keen to bring this skill to value add to their portfolio. For others it was their second training session with Mr. Rao and were aiming to reinforce their knowledge. 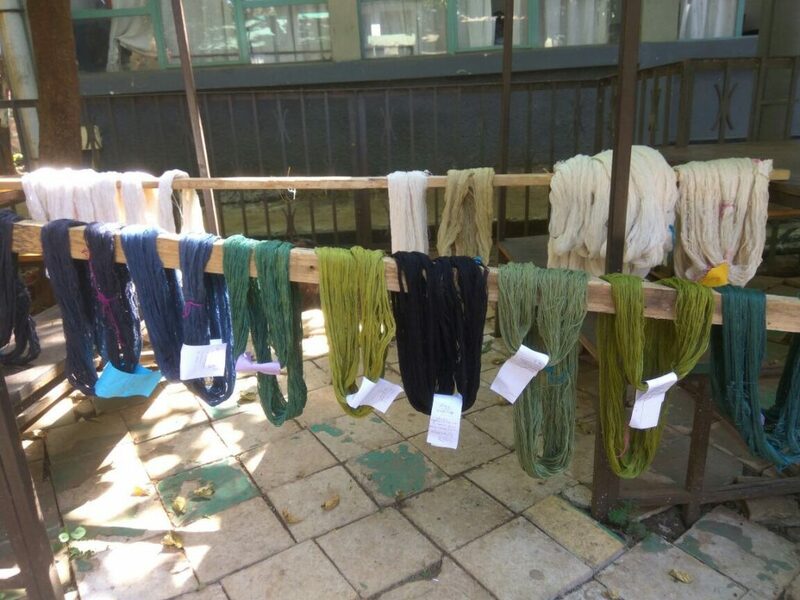 The hands-on training sessions covered the fundamentals of natural dyeing including water selection and usage, neutralising methods, PH tests on yarn and fabric before and after dyeing and types of mordants and their use. 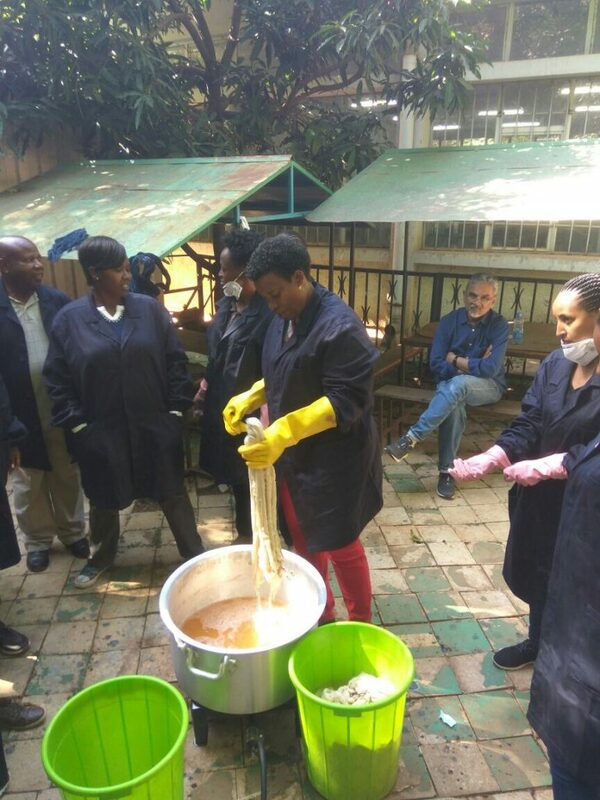 Trainees were also taught how to identify and harvest natural dye-bearing plant materials, processing and preparation and fermentation of dyes. To ensure trainees were able to effectively absorb all the information, Mr. K. Rao provided one-to-one guidance to each participant. Taking into account their present activity and future planning, Mr. K. Rao meticulously explained the methods and materials. Ms. Amunga plans to expand her workshop into a training centre for women artisans and hopes to add natural dyeing as one of the skills taught. Professor Abera of the EiTEX gave a demonstration of dye extraction and dyeing. 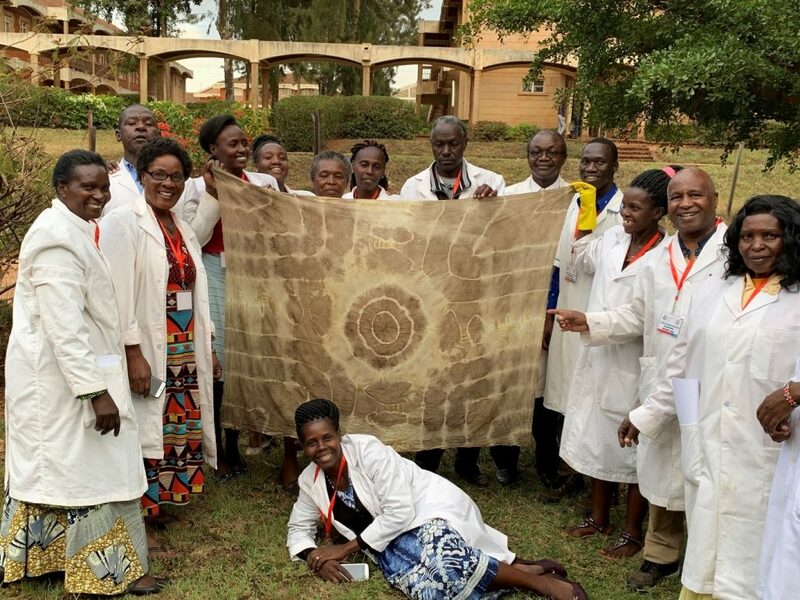 Using natural material from locally collected sources, he showed it being tested using sample industrial dyeing equipment available at the university laboratory. 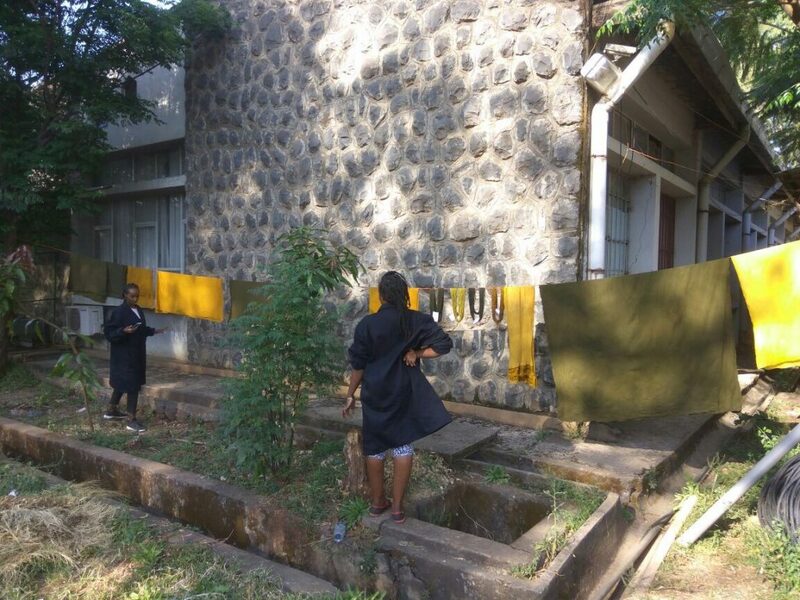 On 17 December, the group visited a monastery where they still practice ancient methods of natural dyeing fabrics. One of the many species of the Indigo-ferra species was growing wild in the monastery premises. Mr. K. Rao shared his expertise on cultivation, extraction, preservation and dyeing methods with both the monks and the participants. By the end of the programme, participants were able to produce more than 30 colour shades. The participants were provided with take-home dye kits containing all the dyes and mordants used for the training. Trainees also received a certificate of completion. “I’d like to hopefully make it a major part of my brand with a lot of practice, consultation with the trainers as well as future trainings. In my opinion it’s a good way of value addition to my products and it gives me an easy unique selling proposition to the other products in the market. I am also passionate on sharing the knowledge I gained with other textile surface designers to help us all use sustainable production processes moving forward,” said Ms. Nyaribo. 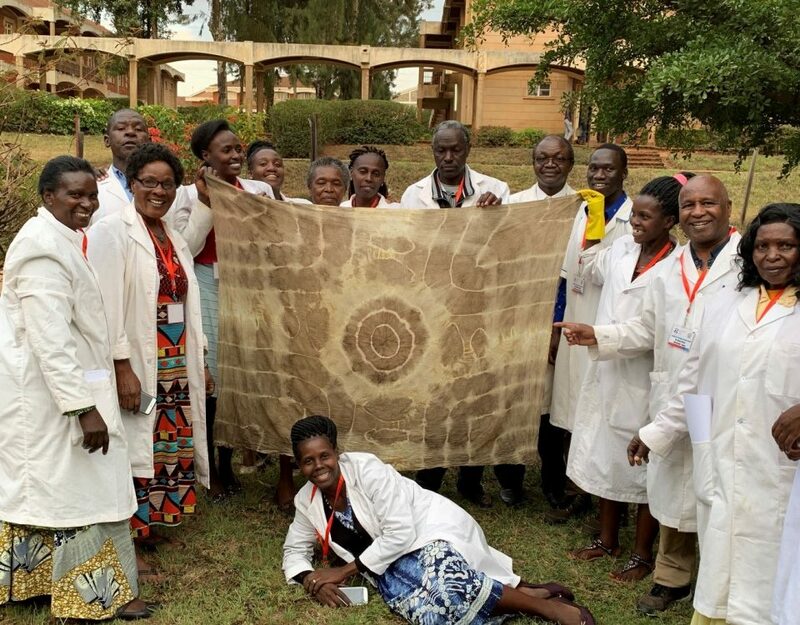 A second-time graduate of the natural dyeing training is Mr. John Khafafa of the Department of Manufacturing, Industrial and Textile Engineering, Moi University, Kenya. Mr. Khafafa also attended the first training session in Hyderabad, India and is already acting to ensure the skills he has learnt are passed on to artisans in Kenya. 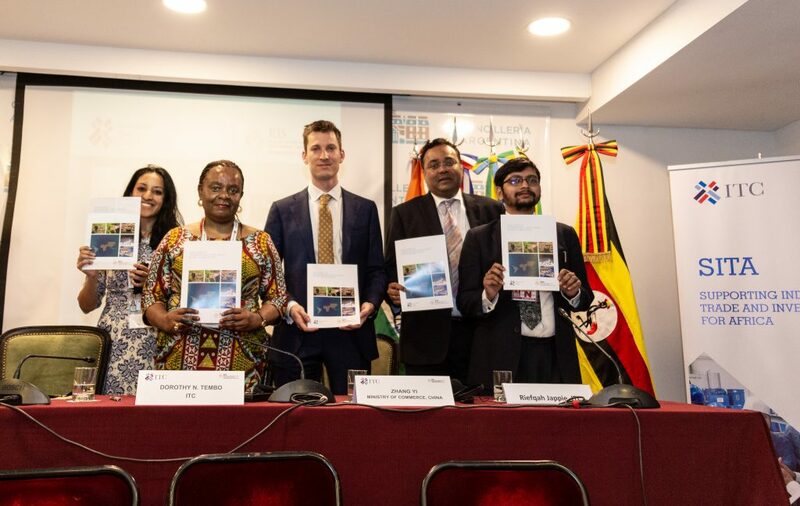 He is drafting a manual based on the training he has undertaken and is also in the early stages of organising a training session in Kenya, collaborating with the national handloom weavers cooperative. According to Mr. K. Rao, natural dyeing is not a technique that can be mastered in a few days, a month or even a year. It requires constant practice, development and support to be viable. “Only when the participants start practicing will they be faced with a lot of mistakes and doubts arising from the processes. Hence, they might require follow-up support for a little while before they can be established dyers and trainers”, said Mr. K. Rao. Mr. K. Rao and Creative Bee will continue to support the natural dyers in fine tuning their art, procuring mordant and the collection of dyestuff from their local resources. At SITA, we are excited to hear that trainees are practicing their techniques and are working to be able to pass their skills on to other artisans in their communities.